Cartoon One-Piece Pajamas shows you very sweet and cute. This Power University Wool Flannel Sullivan Cartoon One-Piece Pajamas,shows you very sweet and cute. Feel fresh and elegant style to make home life cheerful! Have fine workmanship and quality assurance. 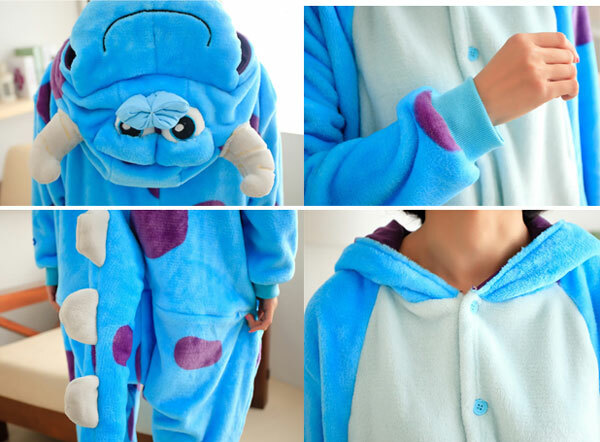 This Pajamas would be the best choice for you.